1) Get rid of old bulbs: When long lasting CFL bulbs finally burn out, remember that CFL bulbs shouldn’t be tossed in the garbage or regular household recycling bins. PSE offers free CFL recycling at participating business locations all over Western Washington. 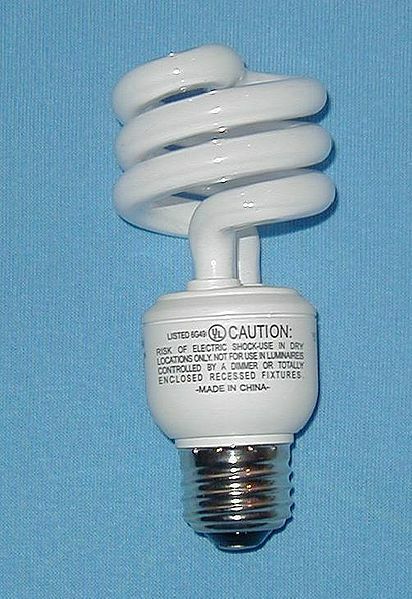 In addition to free CFL recycling, PSE now offers free incandescent bulb recycling too. Don’t wait to make the switch, replace your inefficient incandescent bulbs with ENERGY STAR®-qualified CFL and LED bulbs that use up to 80 percent less energy than incandescent bulbs. There’s no time like the present. Check PSE.com/BulbRecycling to find convenient locations. 2) Host a bulb recycle box at your workplace: To make CFL and incandescent bulb recycling even easier for you and your coworkers, host a box at your workplace. Materials from CFL and incandescent bulbs including reusable glass, circuitry, aluminum and plastic can all be recycled and reused. Sign up to host a recycling box at PSE.com/BulbDrive. 3) Dump that old fridge or freezer: Your old fridge or freezer could be costing you up to $200 a year on your energy bill. If your fridge or freezer is ready for retirement don’t hurt your back trying to get rid of it yourself, sign up at PSE.com/Recycling to have PSE haul it away for free. PSE will pick it up and recycle it for free and give you $20. 4) Try an LED bulb: CFL bulbs are energy efficient and long lasting, but they don’t hold a candle to the latest LED technology. LED bulbs are even more efficient than CFL bulbs and can last up to 25 years. Replacing lights in hard to reach areas with long lasting LED bulbs means less time spent on a ladder changing burnt-out incandescent bulbs. LED bulbs can also be used in dimmable fixtures. PSE electric customers can receive up to a $10 rebate on ENERGY STAR-qualified LED bulbs at participating retailers. Visit PSE.com/LEDs to find a retailer who carries PSE rebated bulbs. 5) Call 811 before you dig: If your springtime outdoor projects include building a new fence or deck, planting trees and shrubs or even pulling out a tree stump, please remember to contact the 811 Call Before You Dig hotline two business days prior to your project to help prevent serious injuries or potential hazards from striking or damaging underground utilities. All underground utilities must be marked before the start of digging. Don’t assume you know what’s below. Protect yourself and those around you – call 811 every time. It’s free, and it’s the law. Visit call811.com for more information.